Folks interested in some different perspectives on Romero's life, death, impact, and "meaning for the rest of us" might profit from the following articles and essays. I had interviewed the archbishop a few weeks before. He had been good-humored and philosophical about all the threats against him by Salvadoran right-wingers who claimed he was helping communists. I had heard Romero's powerful sermons in the cathedral of San Salvador, where the raw concrete walls had been left unfinished as a sign that grandeur was not the church's priority. All of us reporting there knew he would be killed. He knew he would be killed. 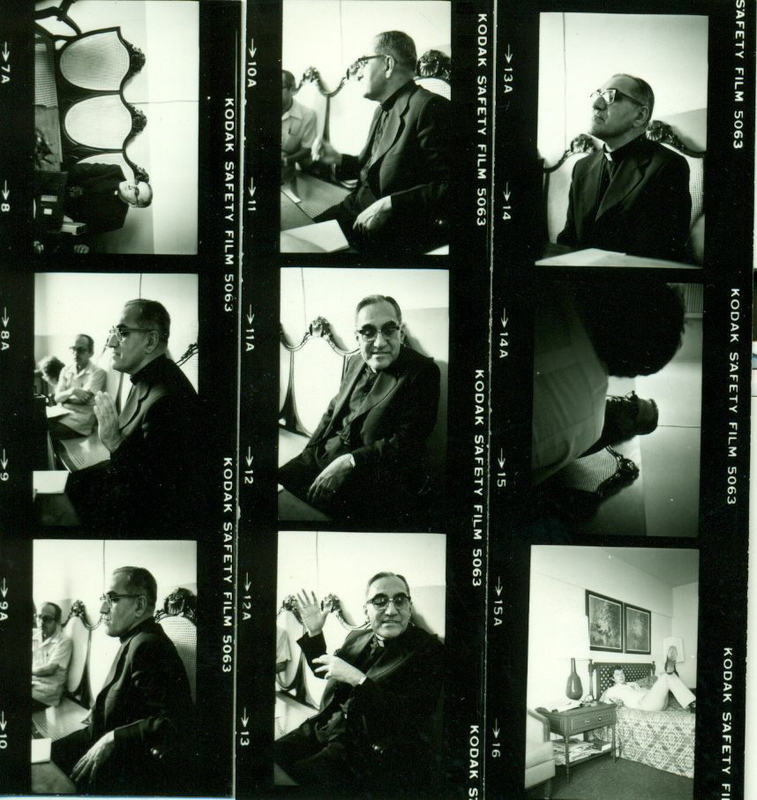 Second is a piece Dickey links to, by Salvadoran journalist Carlos Dada, entitled "How We Killed Archbishop Romero" (English version available on the site). It can be found here. Romero was not a theologian and never considered himself part of Liberation Theology, the most radical Catholic movement born of Vatican II. But he shared with the liberationists a vision of a Gospel meant to protect the poor. “Between the powerful and the wealthy, and the poor and vulnerable, who should a pastor side with?” he asked himself. “I have no doubts. A pastor should stay with his people.” It was a political decision, but justified theologically. All of his writings include extensive biblical references, Church documents, and Papal quotations to support his assertions. Fourth is a National Catholic Register article by Filip Mazurczak with which I profoundly disagree, including as it does the insulting conclusion that Romero's cause has been hindered by those "politicizing and distorting his legacy," as if his life and martyrdom took place in some cosmic vacuum—and as if his cause were not hindered for years by Salvadoran and Roman churchmen eager to sanitize Romero's witness. In any case, it does show the broad range of opinion in the church regarding Romero, and can be found here. De gustibus non est disputandum, or something. I'm confused...Why does a martyr require Beatification prior to Sainthood? I'm sure someone will correct me if I'm wrong, chartiably of course, but a declaration of martyrdom allows the person being considered for canonization to move to the beatification stage without having to be credited with a miracle, but otherwise it's the same process, i.e., another mircale will be required for canonization proper.